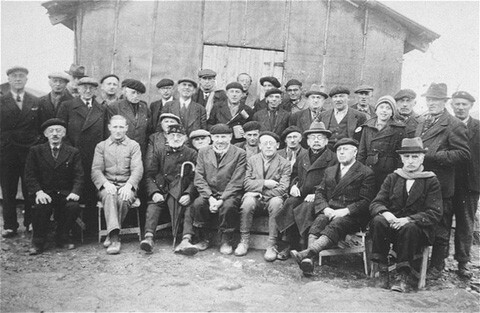 A group of foreign-born Jews poses for a photo in Gurs, a French internment camp in southwestern France. Gurs, France, 1941. Samuel Liebermensch is pictured at the center. Hugo Mayer is seated on the lower right. Siegfried Lindheimer is pictured in the first row , second from the left.